2018 is over! Can you guys believe it!? Can we be honest with you? 2018 was our worst year. In our personal lives, 2018 was a nightmare. We lost loved ones and challenges arose that have altered the course of our life. We are glad to see 2018 go! Each week, though, regardless of how things were going in our own lives, Saturday came. And Saturday was the day we looked most forward to – it was wedding day! All year, our couples and their wedding days served as a constant blessing and source of joy in our lives. Our brides and grooms are some of the kindest, coolest, most beautiful souls we’ve ever met, and watching them marry the love of their lives is an honor we will never, ever take for granted. In 2018, we loved shooting at some of our favorite area venues like Hamilton Place at Pursell Farms, Birmingham Museum of Art, Regions Field, The Florentine, Vulcan Park & Museum, Thomas Jefferson Ballroom, Bridgestreet Gallery & Loft, B&A Warehouse, The Sonnet House, Iron City, Birmingham Botanical Gardens, The Club, J&D Farms, Greystone Country Club, Aldridge Gardens, The Barn at Shady Lane, Riverchase Country Club, The Tutwiler Hotel, Haven, Church of the Highlands Chapel, Shoal Creek Golf Club, Park Crest Event Facility, just to name a few. Weddings also took us to New Orleans, Baton Rouge, Florida, and other cities around Alabama like Huntsville and Montgomery! It was an incredible year! 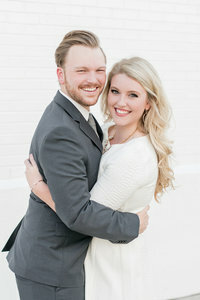 We feel so blessed that we get to work with some of the most professional and talented wedding teams out there, led by the creatives at Becky’s Brides, Hothouse Design Studio, M. Elizabeth Events, Magnolia Vine Events, Invision Events, La Belle Vie Weddings, AK Brides, KBCook Weddings, Southern Styled Events, and so many more! We are so grateful to the incredible wedding planners, florists, designers, stationers, calligraphers, caterers, bands, DJs, rental companies, and everyone else who come together to make our wedding days so beautiful and such a joy to document! Below, you’ll see the highlights of each wedding we’ve had the privilege of being a part of this year. Looking through these images make our hearts burst with love and gratitude. Each moment and each smile is so special to us – we can’t find the words to describe! We love the people in these images, and it’s because of them that we get to live our dream! So, thank you, 2018 EJ Couples, for trusting us to document your memories and for the friendship we’ve built along the way. Your relationships have blessed us more than we could ever say. We are so humbled, and we’re eternally grateful. So, without further ado, take a seat and get comfortable! This blog post is LONG, but it’s so, so special! Thanks for the memories, and cheers to 2019! !